The most important thing is not to split up the already small space of the room with additional walls, partitions and shelves. If you want to equip another area in the living room (say, a dining room or home office), then zoning is best done by means of finishing colors or lighting.Moreover, if there is an opportunity, you can combine a living room, say, with a kitchen or with a corridor. The main thing – do not forget that there is a set of rules and regulations that may limit your actions regarding redevelopment. In our subconscious, the traditional living room design is firmly imprinted: there should certainly be a TV-zone, a large sofa, a couple of chairs, and the design itself should be comfortable and acceptable for every guest. But let’s try to move away from this image and think about how it is customary to spend leisure time specifically in your family? It is the habits of your family members that should determine the interior of the living room! For example, if you with your “second half” like to watch TV shows before going to bed, then the TV will be much more sensible to hang on the wall in the bedroom, and in the living room instead of the TV zone you can place other elements of the interior. No matter how banal and beaten it may sound, but you should not neglect this technique – use mirrors to make the living room more visually spacious. A large mirror will allow you to visually enlarge the space in almost two! Do not want to see large mirrors in your living room – use a mirror panel, which will also serve as an interesting decor. In general, any glossy and mirror surfaces in the design of a small room is a good solution. Making a window opening is also very important. If you hang the curtain in exactly the size of the opening, it will only emphasize the modest dimensions of the room. But if you make a curtain from floor to ceiling along the entire wall, the effect will be completely opposite. A small room should be bright – only in this case, it will cease to seem gloomy and cramped. Very well in this case can help the lights and any additional sources of artificial light. Very carefully choose the ceiling chandelier – its dimensions should correspond to the dimensions of the room. Open shelves in the interior of a small living room can help out: placing your favorite books, commemorative figurines and other knick-knacks on them, you will receive additional decor and save space. But you can not get involved! Any objects at a height of visually “eat up” space. Yes, and with the amount of decor in a small room, it is desirable to show restraint. 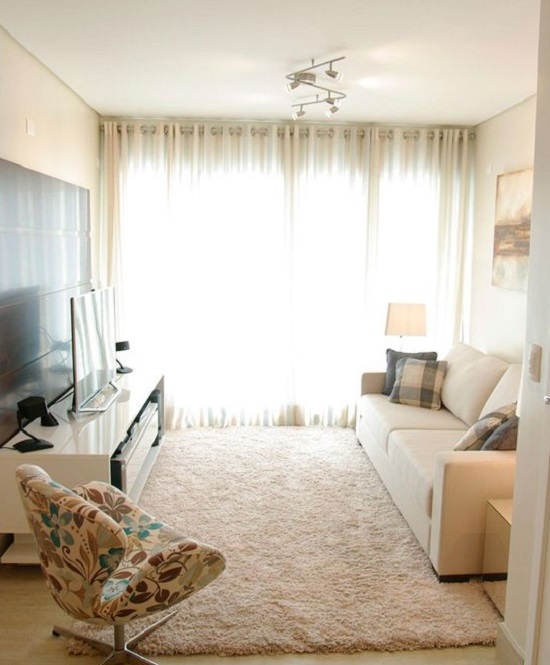 The use of bright colors in the design of a small living room is quite risky. But with textures you can play as much as you like. If everything is done correctly, even a room in beige will not look boring. Use textured fabrics, carpets, 3D panels … and with proper lighting, their role in interior design will become even more noticeable. At the subconscious level, symmetry causes a sense of order in a person. Use this in the design of a small living room! Many people are so keen on the idea of ​​”unobtrusive” design, fearing that there is no place for style in a small living room. But even the tiniest room can be stylish! The main thing is to choose the right direction. 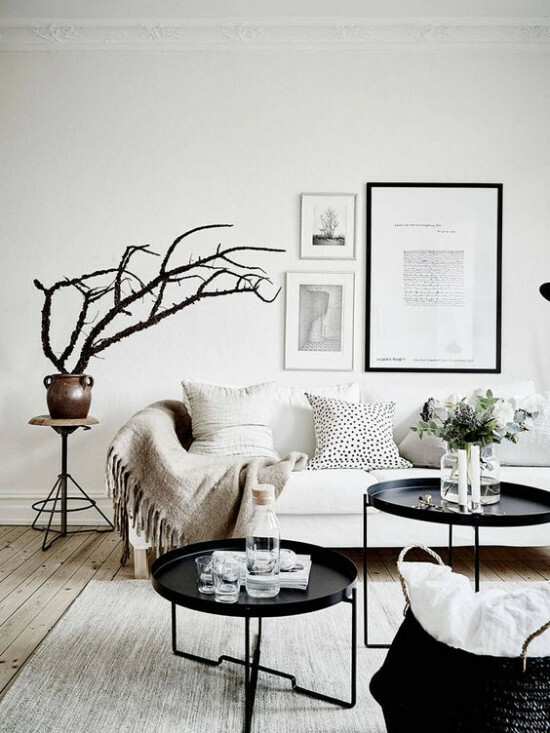 In this case, the perfect fashionable Scandinavian style, minimalism or even eclectic, if everything is done with the mind. Believe me, worse than a small living room, only a small and boring living room! One of the most common and annoying mistakes in the interior design of a small room is the small decor. He simply “shouts” that the dimensions of the room do not allow more. 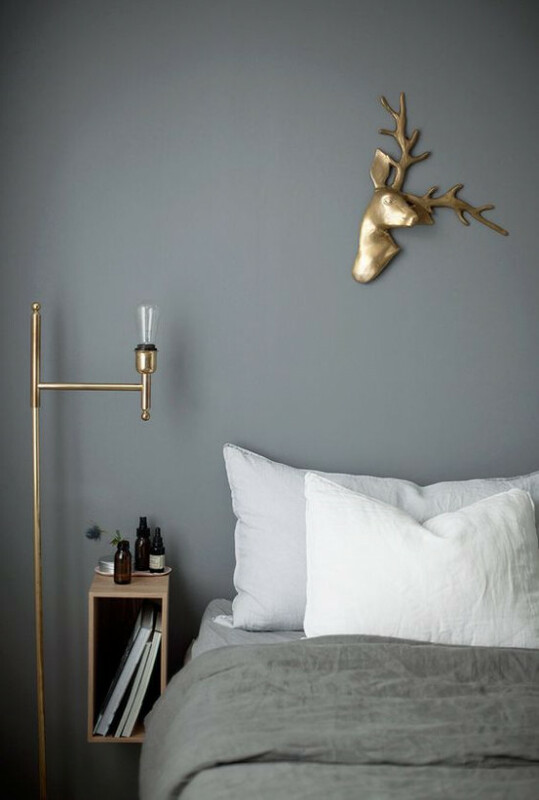 Therefore, reduce the number of decor (especially wall) and follow the golden rule: less means more!